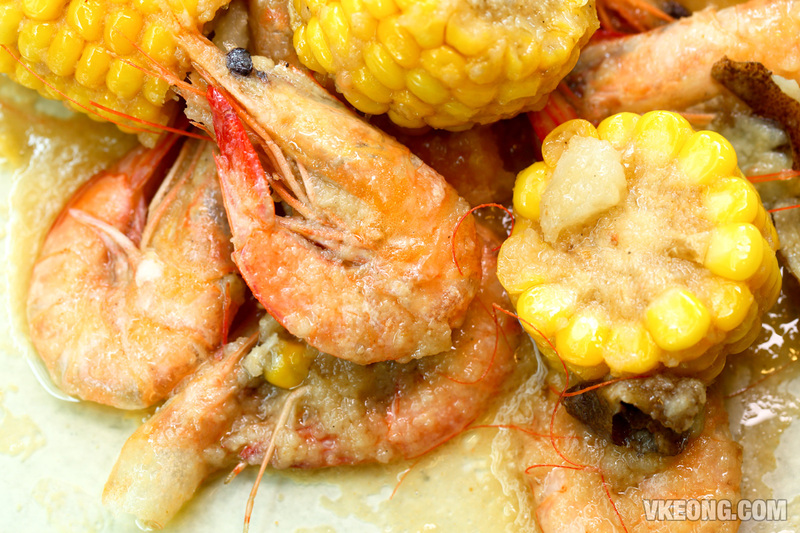 Seafood lovers, take note! 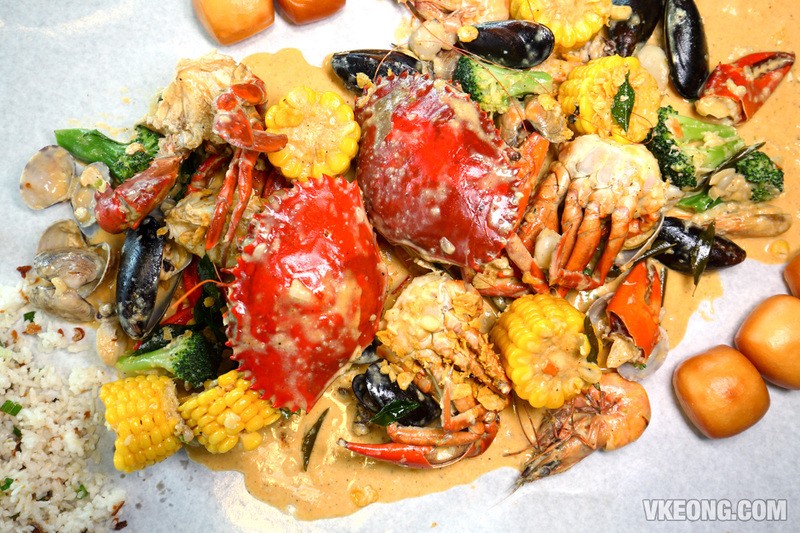 In conjunction with Crab Factory‘s 4th year anniversary, you will get to add XL crabs to their Crab Lover value meals at a discounted price of RM24 each. 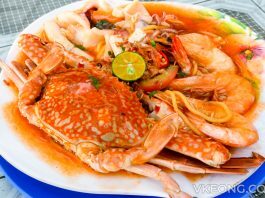 Usually, these XL sized crabs (~500g) cost around twice at the normal seafood restaurants, so it’s a good deal alright. 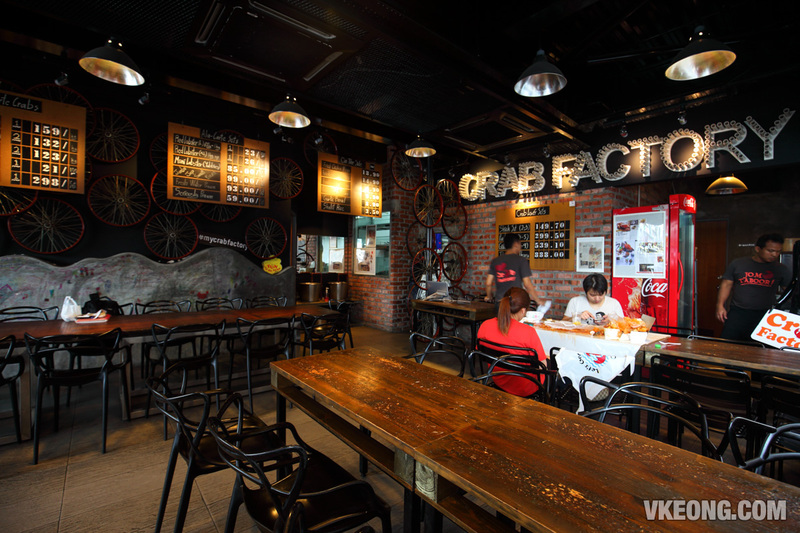 For those who are not familiar with Crab Factory, they are the actually the pioneer who introduced Louisiana style seafood boil to Klang Valley. This unique dining concept immediately caught on and inspired many other brands to enter the market. 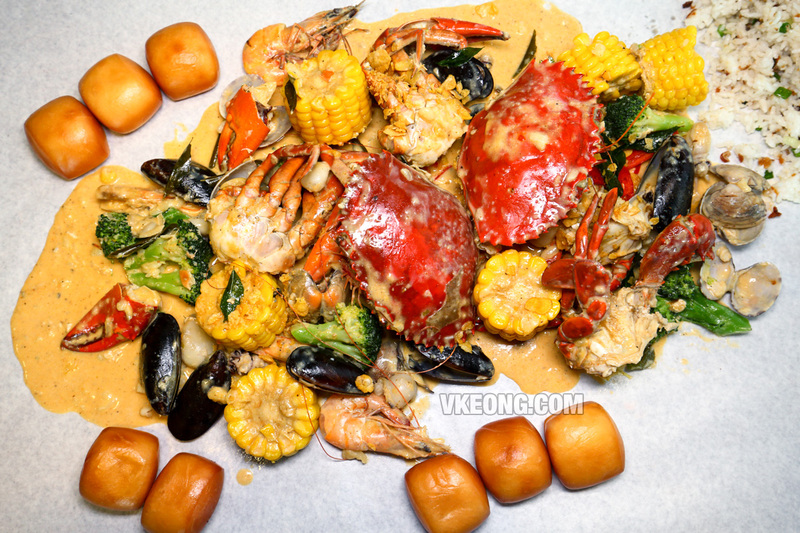 Since our last visit, Crab Factory has introduced a relatively new flavor of sauce – Salted Egg. As expected, it was well received and has become their top-seller now. 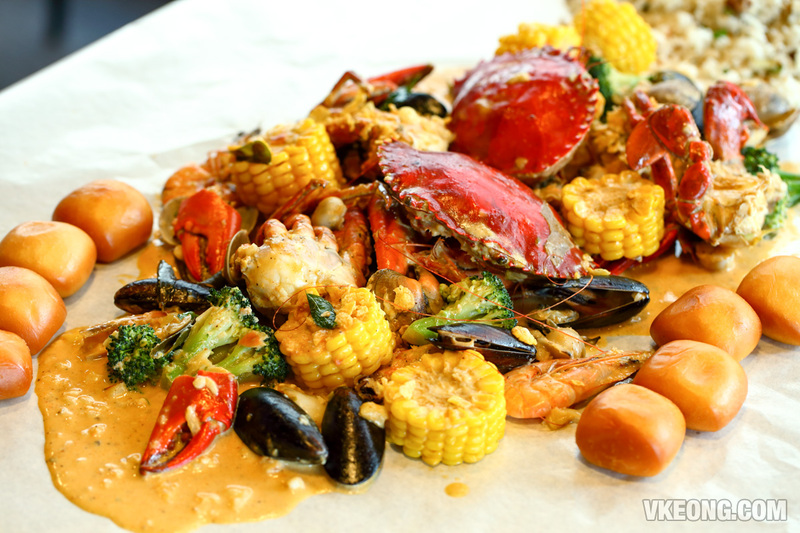 To try the Salted Egg sauce, we had the Crab Lover Shiok Set @ RM149 because it comes with a variety of seafood such as crabs (2 pc XL sized), King White Prawns, squids, mussels and Hamaguri clams. 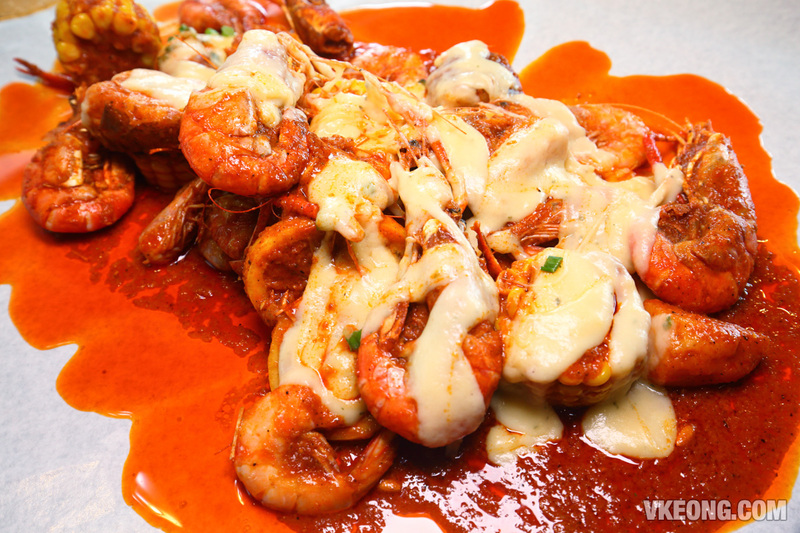 By ordering this set, you get to experience the sauce with different types of seafood in the same seating. Besides the aforementioned seafood, the set also includes a generous portion of vegetables, 8 pcs of fried mantao and a big bowl of shallot rice. The fried mantao is great for mopping up any remaining sauces, while the rice is fragrant and delicious even on its own. 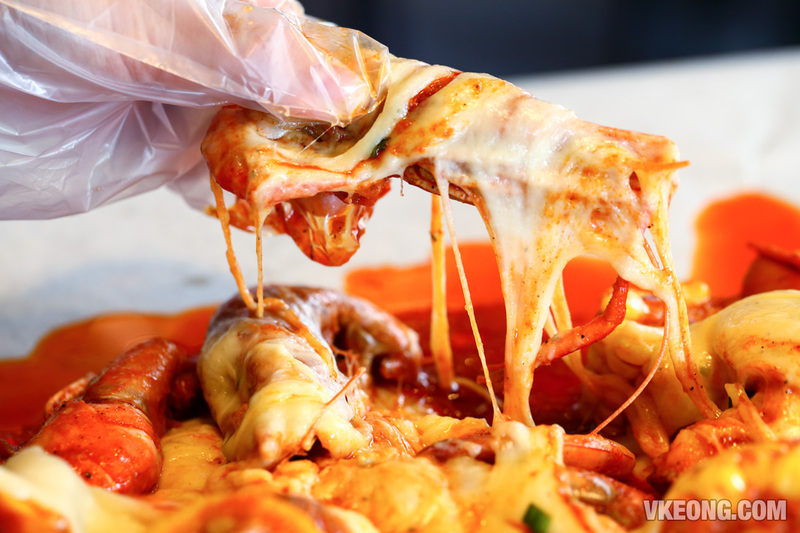 Crab Factory is also providing the option to add on extra cheese topping @ RM6.90 on any seafood cooked in their spicy sauces. 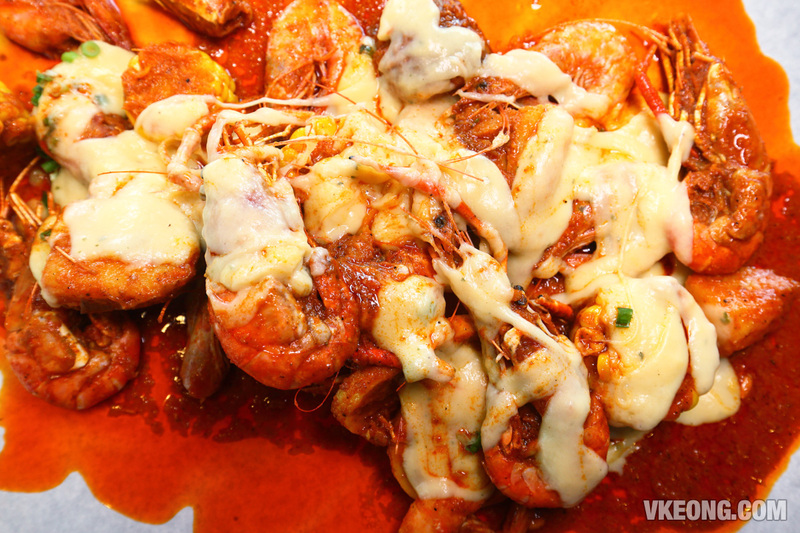 The idea is to balance out the spiciness with the stringy melted cheese while also providing the seafood an extra layer of flavor. It might seem gimmicky at first, but the combination worked really well. 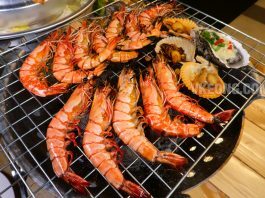 For that, we had the Freshwater Prawns in their signature Southern Bang sauce (ala carte @ RM93) which comes with 500gm of freshwater prawns and 200gm of King Prawns. Some of the freshwater prawns were as big as they can grow. 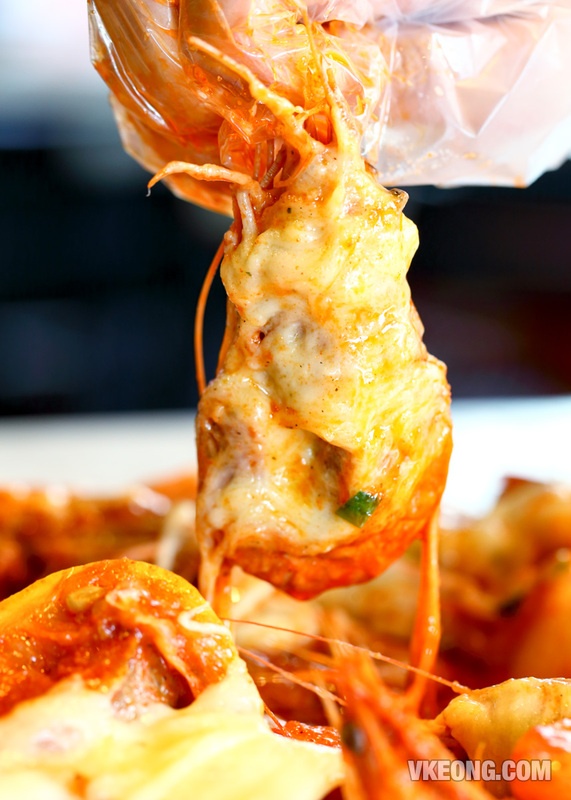 They peel effortlessly revealing a thick chunk of flesh that resembles a mini lobster tail. Firm and sweet in taste, they were satisfying to say the least. 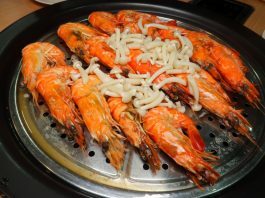 To fully the natural sweetness of the King Prawns, they should be enjoyed in a non-spicy sauce such as the Garlic Butter sauce. 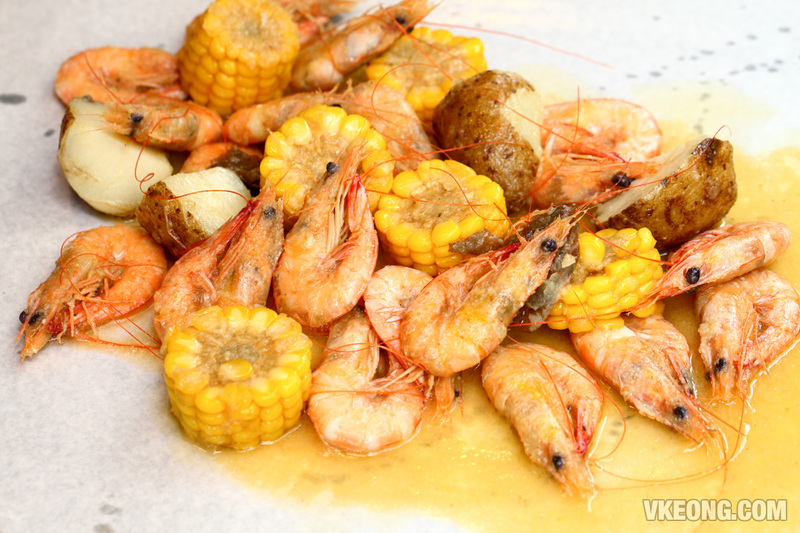 The Seriously Prawns @ RM59 (500gm King Prawns) is sufficient to fill up an average person – provided that the potatoes and corns are also finished. 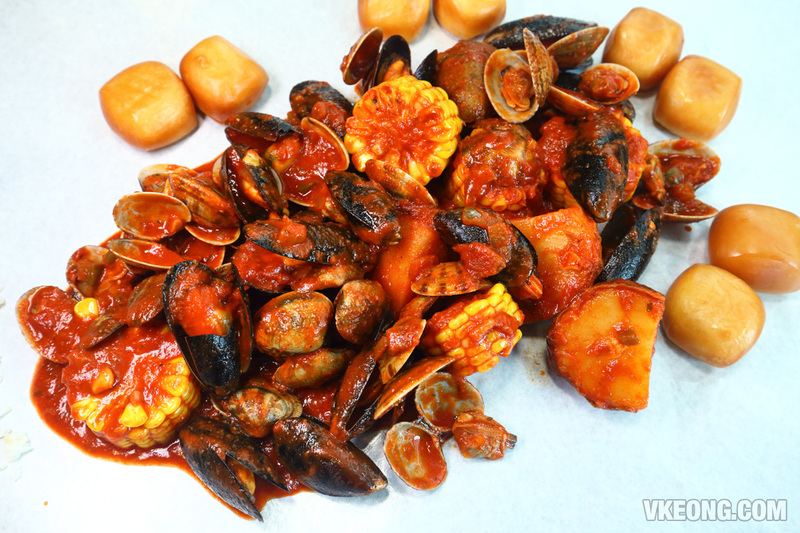 The last ala carte item we had was the Shell On (300gm Hamaguri Clams & 300gm Blue Mussels) @ RM59 in Jamba Jamba sauce. This uniquely tangy tomato based sauce is spiced up with a blend of traditional Cajun spices to give it a real kick.